Sit in your cinema recliner, touch a button, and let the show begin. Select a movie or concert from your library. 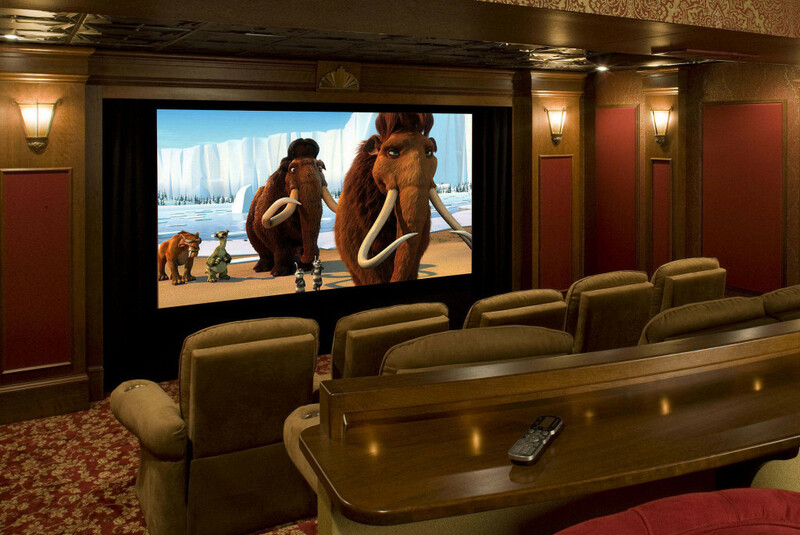 Our theaters can be concealed and tailored to any interior decor. Entertaining friends or family? Your Private Theater can easily convert to a Gaming system that makes for the most engaging video game experience imaginable. Our private theaters take into account your listening and viewing environment, available light, and the shape, size and acoustic nature of the room. Our background in professional video systems ensures you of the highest performance. Pecar’s is also your source for theater interiors and build-outs. From theater seating and risers, to stages, drapes and lighting, we work with your designers to construct the themed theater of your dreams. No one knows video and sound like Pecar’s – since 1946!